Just got a call minutes ago confirming the news that Hollywood star Rudy Youngblood (Apocalypto) is arriving in Manila tomorrow morning. Youngblood is still known from quite few known movies but his performance in Mel Gibson's Apocalypto marks his first big break in Hollywood. his natural athletism enabling him to perform his own stunts. According to my source, Rudy will visit Manila to scout some possible locations for an upcoming movie. For now the details about the film is still kept under wraps. Maybe I can get more details in the coming days or weeks. 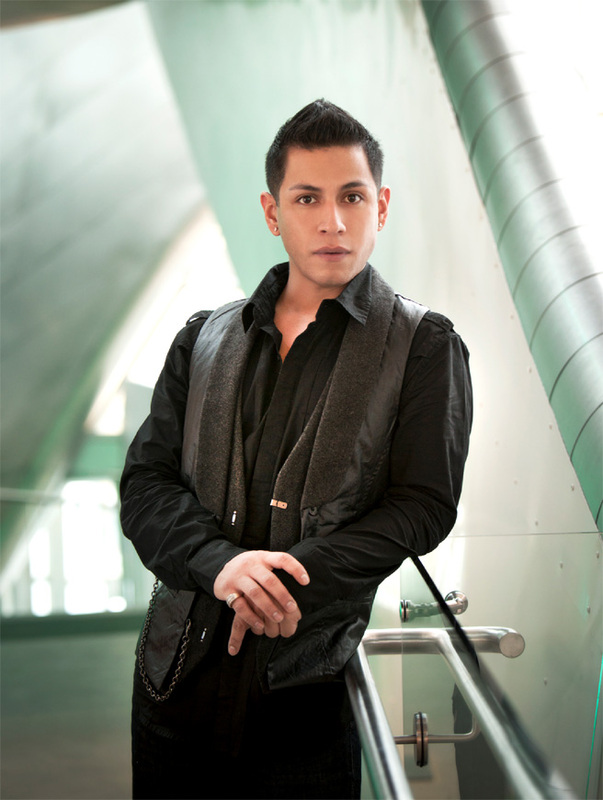 Rudy Youngblood is a Native American of Comanche and Cree decent. Growing up, he never really called one place home, but went to school and graduated in the small town of Belton, Texas. As such, he is proud of his roots and small town up bringing. Prior to making his on-screen debut in Mel Gibson's Oscar nominated film, "Apocolyto"(2006), Youngblood worked as a laborer in a variety of fields. For instance, he toured for three seasons with Peter Buffet's Native American Dance/Theatrical Production, "Spirit-The Seventh Fire", as a warrior protector. After touring, it was his plan to join the marine core. However, in 2005, Youngblood decided to move to Los Angeles to create his own theatrical production. It was at this point he was cast for the lead role of 'Jaguar Paw' in Apocolypto. Youngblood spent weeks preparing for the filming of the movie, for which he had less than a month to learn the entire Yucatan Mayan language. In addition, due to his natural athleticism, he performed all his own stunts, including a death-defying 175 ft free fall during the waterfall scene. According to stunt coordinator Mic Rodgers, "Rudy is the purest athlete I've ever met. He has his head together and is totally on top of his game. If he wasn't an actor, he could very well be a stuntman." Youngblood also stared in other films, including the lead role as 'Brandon' in the 2010, MMA film, "Beatdown", a natural role for Youngblood considering he was no stranger to the world of mixed martial arts. In his free time and when given the opportunity, Youngblood loves being able to speak and motivate youth across the country. To Youngblood, youth are the future, so he feels obligated and privileged to share his knowledge in hopes to motivate them and encourage growth. His recent travels to Canada however, have been more of a business venture. Youngblood, along with partners, are preparing to launch a Master Card that will be offered on all first nation reserves in both Canada and the United States. The cards purpose will be to help give back and bring development to all first nations’ people, as well as to those in the surrounding cities and communities. Included will be a theatrical show, which is in its creation process and will tour all major cities across the country for the cards promotion, Canada being the first launch. Along with the launch of the credit card, Rudy and his team will be launching the first ever casino app. A press release with further information on the app will be held in the near future. When it comes to cinema, Youngblood is currently working on several up coming pictures, side by side with the best in the business. Youngbloods efforts and vast life experiences can be culminated into the following personal quote: "What you stand for is very important. Who you are is even more significant. If you don't know where you come from or who you truly are, then you're an empty vessel with no purpose. It has to come from the heart. You have to grow as a person, man or woman, and from within, to truly understand where it comes from. It's like reading a poem. You may read the words without a real understanding of its true meaning. You have to let yourself go, and be open minded to understand and find your own meaning. It's in this journey; you’ll find the right path to live your life, a life full of happiness. This is the way I live my life and this is my journey". Youngblood looks to himself for the inspiration and motivation to be a better person. He wants to do what he can for others so they to can make the right choices and learn from the wrong ones. Youngblood has spent much of his journey alone so has truly come to appreciate the company of others, an appreciation he attempts to pass to all he meets. He has learned from hardship and those lessons are valuable to whoever takes the time to listen. Right on Rudy bud! Best of luck, stay in touch! I hope you are a star in a new movie. you are simply put Gorgeous.